•	Load ranges from 75kg up to 200kg per wheel. Black saw tooth pattern puncture proof tyre red polypropylene centred wheel with a plain bore. Diameter 260mm, tread width 85mm, bore size 20mm, hub length 75mm. Load capacity 120kg.for non towing applications. REACH compliant. Black saw tooth pattern puncture proof tyre red polypropylene centred wheel with a plain bore. Diameter 260mm, tread width 85mm, bore size 25.4mm, hub length 75mm. Load capacity 120kg.for non towing applications. REACH compliant. Black saw tooth pattern puncture proof tyre red polypropylene centred wheel with a roller bearing. Diameter 260mm, tread width 85mm, bore size 25.4mm, hub length 75mm. Load capacity 120kg.for non towing applications. REACH compliant. Black saw tooth pattern puncture proof tyre red polypropylene centred wheel with a roller bearing. Diameter 260mm, tread width 85mm, bore size 25mm, hub length 75mm. Load capacity 120kg.for non towing applications. REACH compliant. Black saw tooth pattern puncture proof tyre red polypropylene centred wheel with a roller bearing. Diameter 260mm, tread width 85mm, bore size 20mm, hub length 75mm. Load capacity 120kg.for non towing applications. REACH compliant. Black ribbed pattern puncture proof tyre red polypropylene centred wheel with a plain bore. Diameter 260mm, tread width 85mm, bore size 20mm, hub length 75mm. Load capacity 100kg.for non towing applications. REACH compliant. Black diamond pattern puncture proof tyre red polypropylene centred wheel with a plain bore. Diameter 260mm, tread width 85mm, bore size 20mm, hub length 75mm. Load capacity 100kg.for non towing applications. REACH compliant. Black ribbed pattern puncture proof tyre red polypropylene centred wheel with a plain bore. Diameter 260mm, tread width 85mm, bore size 25mm, hub length 75mm. Load capacity 100kg.for non towing applications. REACH compliant. 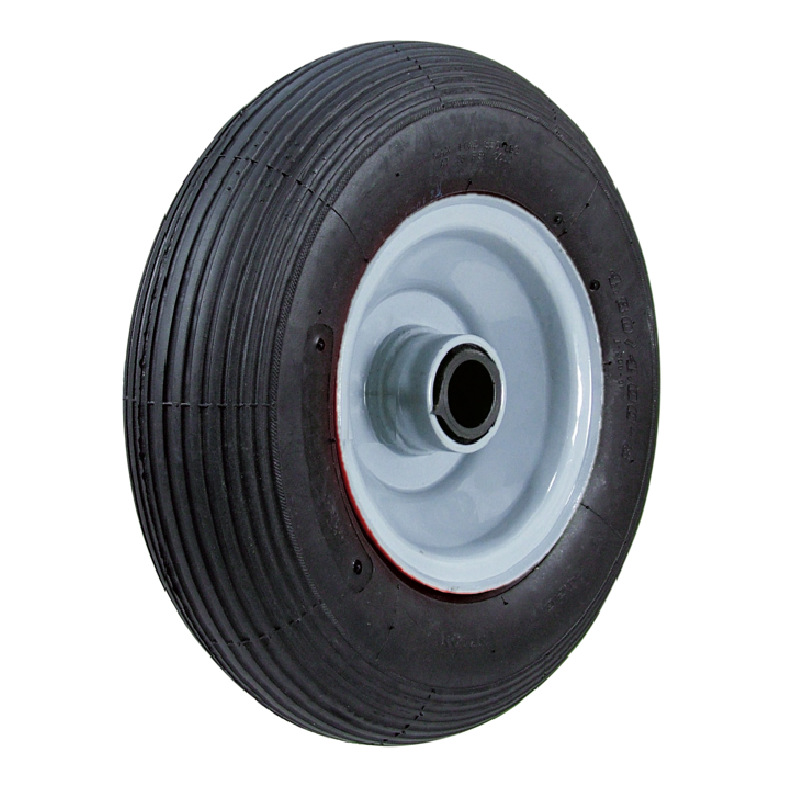 Black ribbed pattern puncture proof tyre red polypropylene centred wheel with a plain bore. Diameter 260mm, tread width 85mm, bore size 25.4mm, hub length 75mm. Load capacity 100kg.for non towing applications. REACH compliant. Black diamond pattern puncture proof tyre red polypropylene centred wheel with a plain bore. Diameter 260mm, tread width 85mm, bore size 25.4mm, hub length 75mm. Load capacity 100kg.for non towing applications. REACH compliant. Black diamond pattern puncture proof tyre red polypropylene centred wheel with a plain bore. Diameter 260mm, tread width 85mm, bore size 25mm, hub length 75mm. Load capacity 100kg.for non towing applications. REACH compliant. Black puncture proof tyre pressed steel centred wheel with roller bearings. Diameter 200mm, tread width 50mm, bore size 20mm, hub length 58mm. Load capacity 70kg.for non towing applications. REACH Compliant. 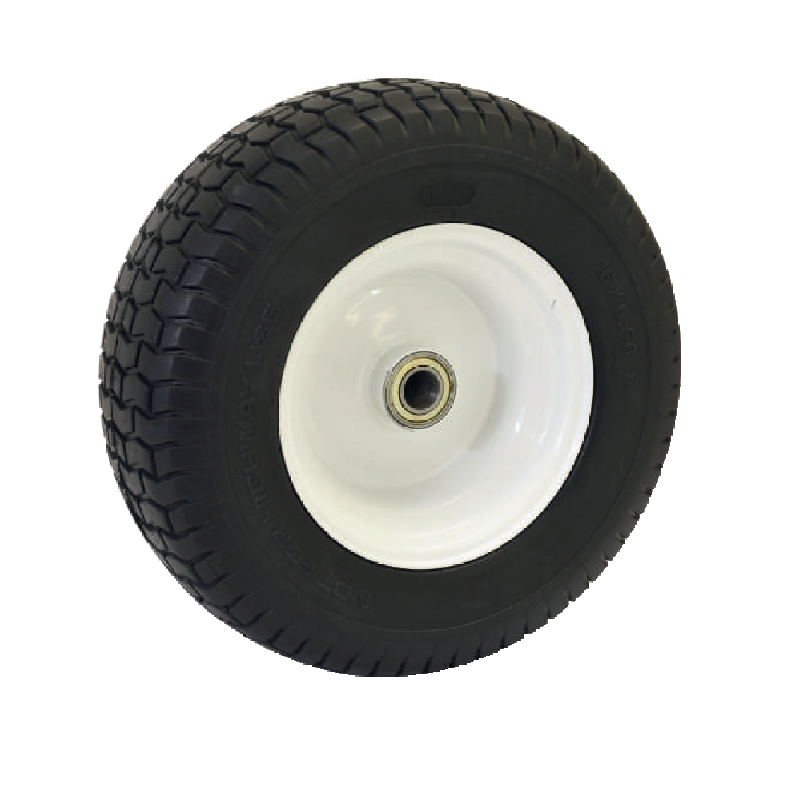 Black ribbed pattern puncture proof tyre red polypropylene centred wheel with a roller bearing. Diameter 260mm, tread width 85mm, bore size 25.4mm, hub length 75mm. Load capacity 100kg.for non towing applications. REACH compliant. Black diamond pattern puncture proof tyre red polypropylene centred wheel with a roller bearing. Diameter 260mm, tread width 85mm, bore size 25.4mm, hub length 75mm. Load capacity 100kg.for non towing applications. REACH compliant. 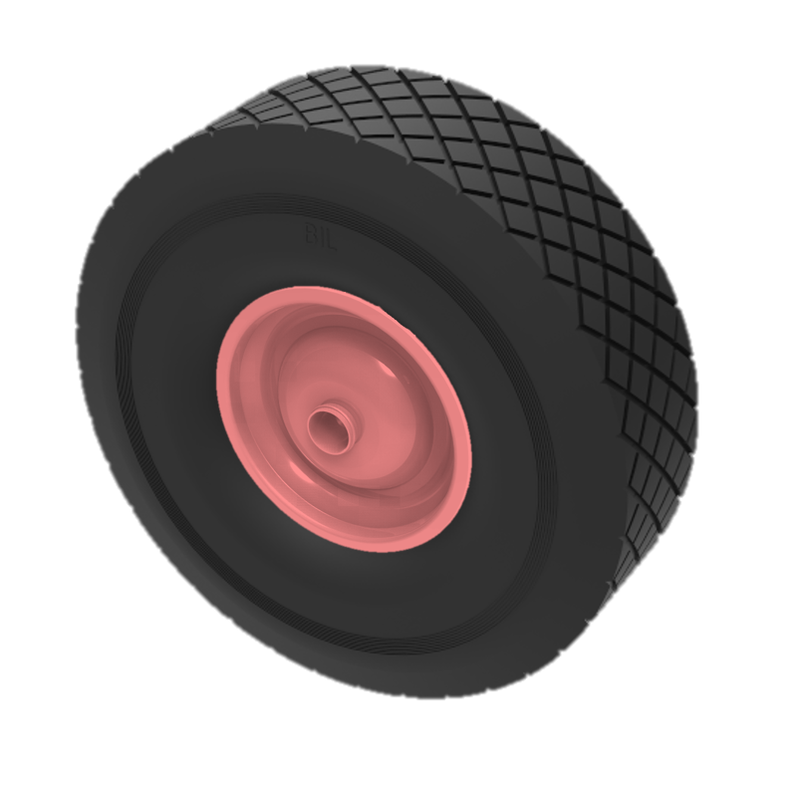 Black ribbed pattern puncture proof tyre red polypropylene centred wheel with a roller bearing. Diameter 260mm, tread width 85mm, bore size 25mm, hub length 75mm. Load capacity 100kg.for non towing applications. Black diamond pattern puncture proof tyre red polypropylene centred wheel with a roller bearing. Diameter 260mm, tread width 85mm, bore size 25mm, hub length 75mm. Load capacity 100kg.for non towing applications. REACH compliant. Black diamond pattern puncture proof tyre red polypropylene centred wheel with a roller bearing. Diameter 260mm, tread width 85mm, bore size 20mm, hub length 75mm. Load capacity 100kg.for non towing applications. REACH compliant. 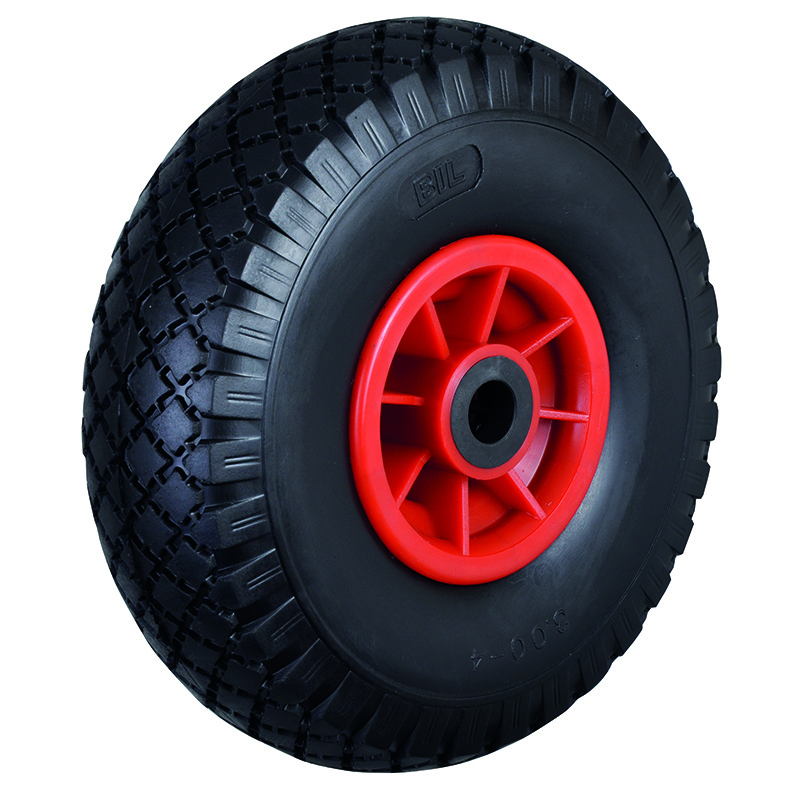 Black ribbed pattern puncture proof tyre red polypropylene centred wheel with a roller bearing. Diameter 260mm, tread width 85mm, bore size 20mm, hub length 75mm. Load capacity 100kg.for non towing applications. REACH compliant. Black diamond pattern puncture proof tyre red polypropylene centred wheel with a plain bore. Diameter 300mm, tread width 90mm, bore size 20mm, hub length 75mm. Load capacity 120kg.for non towing applications. REACH compliant.